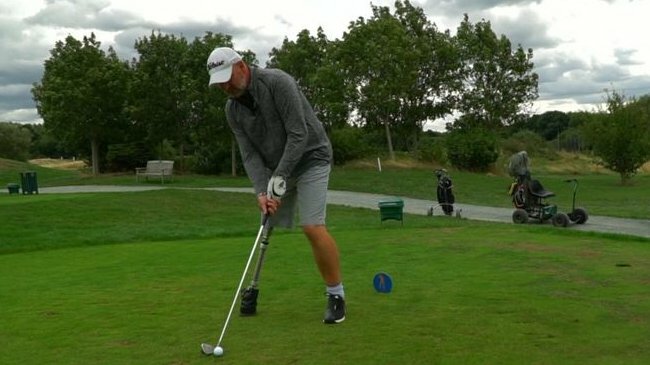 A golfer with a prosthetic leg is suing Brentwood Borough Council for refusing to let him play on Hartswood golf course using a buggy. He learned to walk again – and golf became an important part of life but he still also uses crutches and a wheelchair. He claims Brentwood Borough Council discriminated against him. The Council is defending the action. Paul is lucky to be alive. In November 2000, while working as a roofer, he knelt in contaminated water and contracted the deadly flesh eating bug necrotizing fasciitis. It consumes muscle and body tissue at a rate of 2cm per hour. “The surgeon told me he had to operate immediately,” Paul said in an interview with the BBC. Because of his disability he needs a buggy in order to play an 18-hole course. In August 2016, Paul had booked to play a round with a friend at Hartswood, which is owned and operated by Brentwood Borough Council. On his way to the first tee he claims he was told he would not be allowed on to the course without a letter from his doctor justifying the medical need for a buggy. “I couldn’t believe it. I really couldn’t believe it,” he told the BBC. Paul Houghton’s solicitor, Chris Fry from the firm Fry Law, said: “This case is more than just about making a service more accessible; it’s a reminder of the importance of the benefits which sport brings to social inclusion, together with physical and mental health. “This is especially important for people with a range of disabilities, and not least mobility impairments. “Brentwood Borough Council is committed to ensuring safe access for everyone to all its facilities. “Brentwood Borough Council denies any discrimination and is fully defending the ongoing legal action.